As the final hours in Hong Kong come to an end, this is a great time to reflect on what we’ve experienced here in Hong Kong, Vietnam and Cambodia compared to the West. The West has democracy, freedoms and civil rights. We have things we take for granted and sadly we expect these things when visiting other places in the world. In contrast Cambodia and Vietnam are very under developed, have a lot of corruption and are controlled by their communist rulers. Hong Kong is modern and certainly a very well developed self governing peninsula under Chinese rule. Perhaps we’ve been a developed country longer, but take our public toilets for instance, after seeing those in Hong Kong in particular, they are light years ahead of the West. I visited the gents at Hong Kong airport. There were red or green lights indicating if they were vacant. Inside the cubicle on the rear wall was an automatic sanitiser seat spray .. thus allowing you to ensure the seat was clean. There were no buttons to press, as when you rose from the throne, the flush was automatic … oh and there was no graffiti inside any of the cubicles. The people of South East Asia are generally slimmer, healthier looking and more conscious about their appearance, but will consider eating just about anything. Those from Western societies are generally over weight, less conscious of their appearance and certainly more sanitised when deciding to eat. When we have colds or flu our governments medical advice is to use a tissue, bin it and wash your hands. In Asia, if you’re likely to spread germs, the authorities say wear a face mask to protect others. 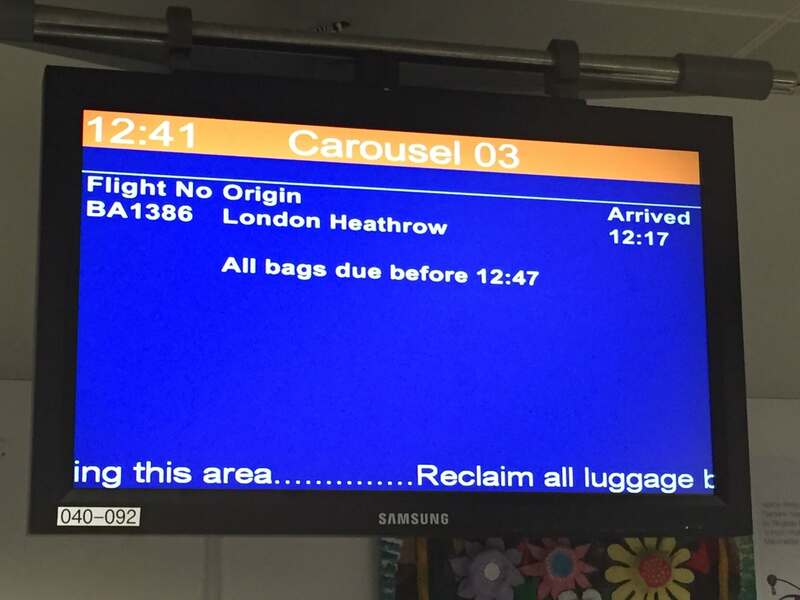 So too the efficiency of the baggage coming off planes in Asia, the bags were on the carousel waiting of us when we got off the plane.. here in Manchester we tell passengers it could be another 30 mins!